This is one of the recipes from Vegetarian Everyday, that I blogged about last week. A simple 6 ingredient recipe - two of which are salt and pepper! Basically it is roasted red peppers, sunflower seeds, rosemary and lemon juice. Most roasted pepper recipes talk of roasting the peppers then putting them in a brown bag to cool before peeling. This recipe doesn't include any bags - and it doesn't need it! Peppers peel just fine after roasting so I've never quite understood why the brown bag seems to come into play! 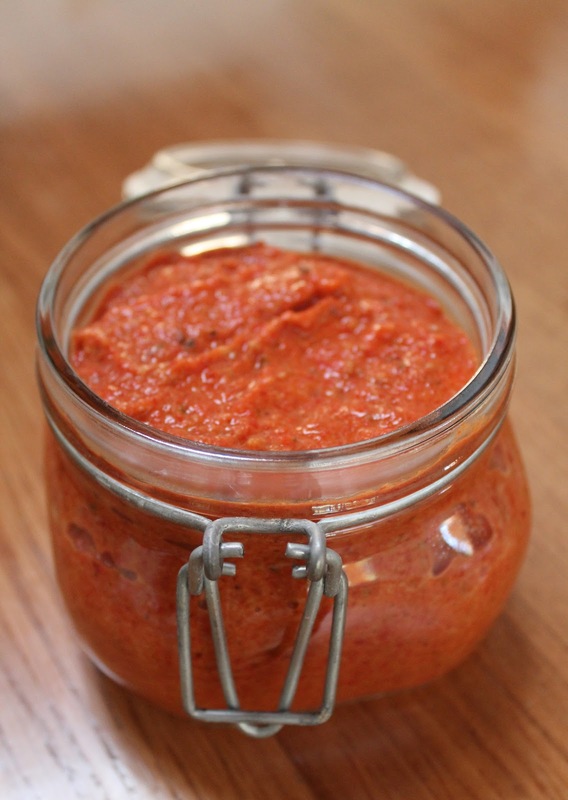 Anyhow- its a good peppery spread that I've used as both a spread on crackers or sandwiches, as a dip, as a sauce, ....very versatile.